I was staying at the Leela upon arriving in India. Reluctant to venture into the city alone I decided to try Jamavar, which is the Indian restaurant within the hotel (where I would recommend that you book a table in advance). This is my review of it. As you would expect in a fine dining restaurant the staff were attentive – including leading me to my table – well informed of the menu and able to make good suggestions when asked. Most restaurants haven’t quite mastered this service as they can be either overbearing or ignorant, but I would say that Jamavar did a good job. I ordered a spiced pear martini as my aperitif, which was quite boozy – I would never complain about that though – and I thoroughly enjoyed it, especially when a subtle aftertaste of ginger came through. 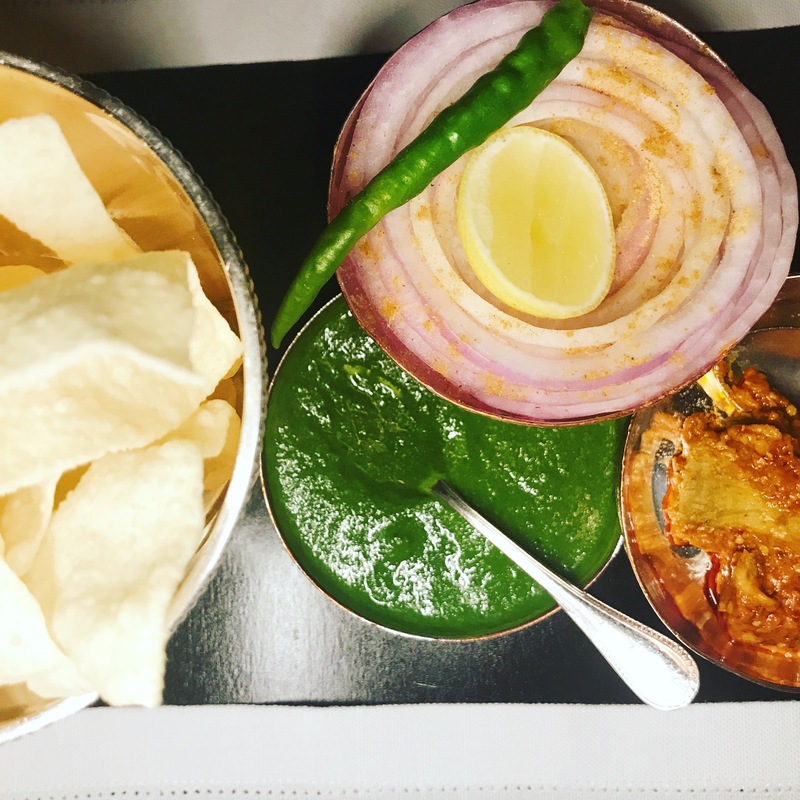 Whilst I was savouring each gulp of the martini I was served a platter of rice crisps (poppadoms) with mango pickle, onion ring salad and coriander, mint and chilli chutney. The poppadoms were plain, which is my preferred choice from the many varieties you can get. The mango pickle had a pungent flavour of mustard oil, which gave it a good spicy kick and you could taste the coarsely ground whole spices that added a lovely touch to the pickle. The onion rings were sliced thinly, sprinkled with chaat masala and served with a wedge of lemon and a green chilli for the brave. They were all presented in silver bowls and looked amazing. 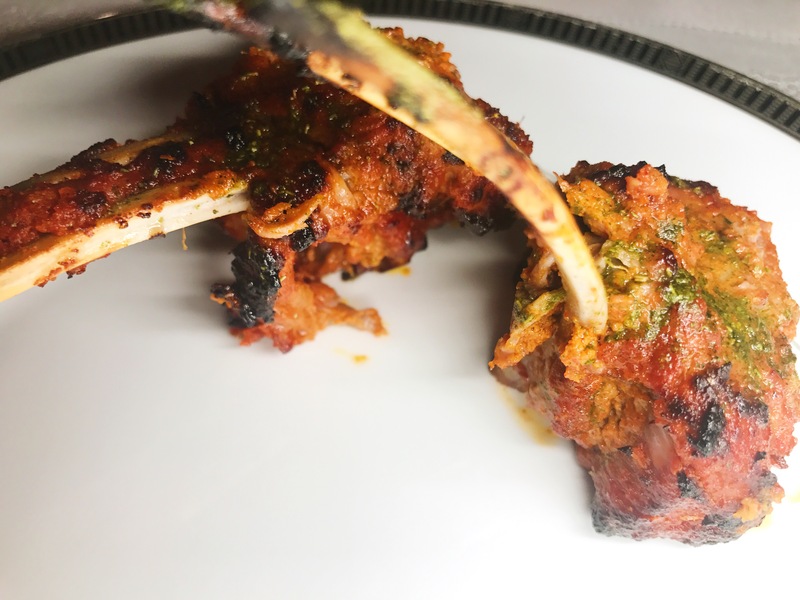 For starters I ordered barrah chaap (tandoori lamb chops), which were perfectly chargrilled on the outside yet soft and delicate on the inside. The generously marinated, ever so slightly pink meat (which is good but seldom seen in Indian restaurants) fell off the bone and melted delicately in the mouth. They were so tender I suspect they were marinated in green papaya to tenderise the meat, which you only tend to see in restaurants that are proud of producing authentic cuisine. 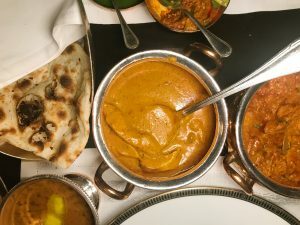 I allowed the service staff to choose the main course for me, who kindly ordered two main chicken dishes (murg tinka makhani and tikka masala) as half portions, dal Jamavar and plain naan. 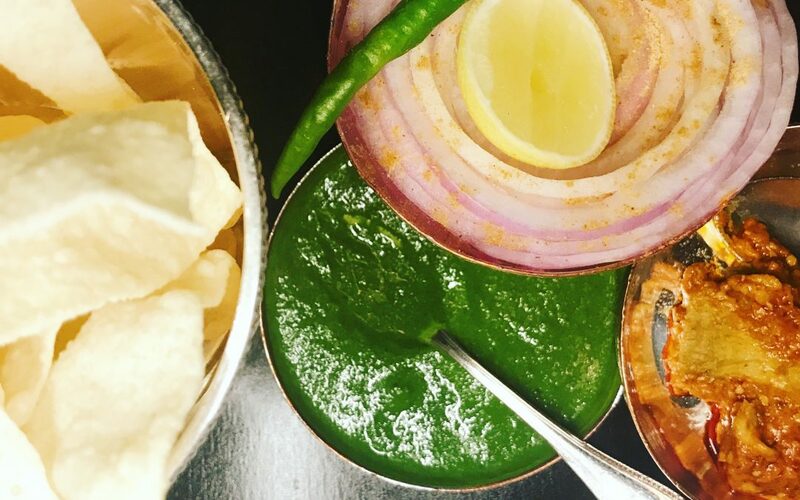 There is something that many British Indian restaurants lack, which is cooking with love and passion from the soul. The murg tinka makhana, which consisted of shredded chicken tikka thighs in a voluptuous gravy, had an abundance of both. There were also chopped green chillies added, which lifted it from its usual very slightly sweet character to become an altogether spicier proposition. I was a little excited about trying the chicken tikka masala, which is an invention by the Brits for the Brits but that I’m now seeing on the menu in Delhi. It had a thick tomato and onion masala with big chunks of chicken thighs, which works well for this lightly-spiced dish made for a milder palate. The dal Jamavar deserved a standing ovation on its own. Flavoursome buttery lentils and a dollop of butter for good measure took this traditional dal makhani to another level and was the best thing I tried on the menu. It was evidently cooked slowly over a low heat for a long time, as the lentils had disappeared and melded into the buttery sauce, every mouthful of which was a joy to try. If you go to Jamavar in Delhi and don’t try the dal you should hang your head in shame!